The program for solving linear programming problems by the simplex method. 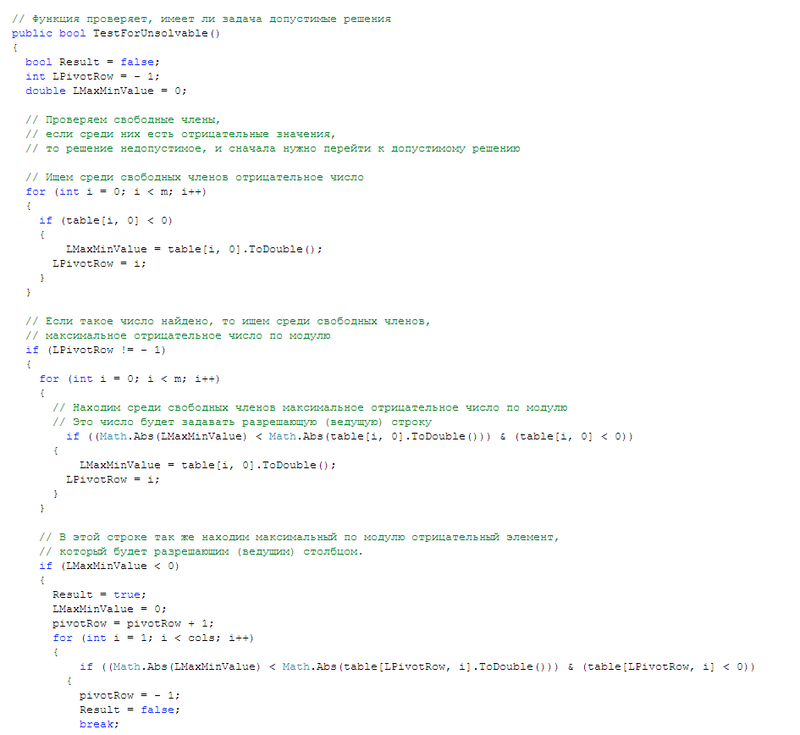 Source code in Microsoft Visual C#. The program reduces the problem to a canonical form, and make it iterative solution with the conversion of the simplex table. In the case of the optimal plan is not an integer, is used Gomory method. It is possible to solve the problem as a maximum and a minimum. Displays a detailed report of the solution. In the first mode, the program automatically selects the enable column and row that provide the maximum increase or decrease of the objective function. And also automatically recalculates all of the tables. 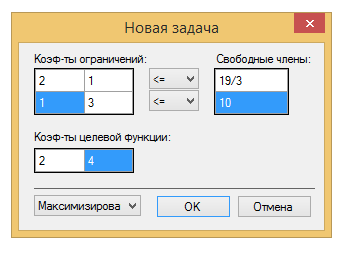 In case of no integer optimal plan, the program adds a new constraint (cut-off) and recalculates the table. This is repeated until such time as will be found an entire solution. 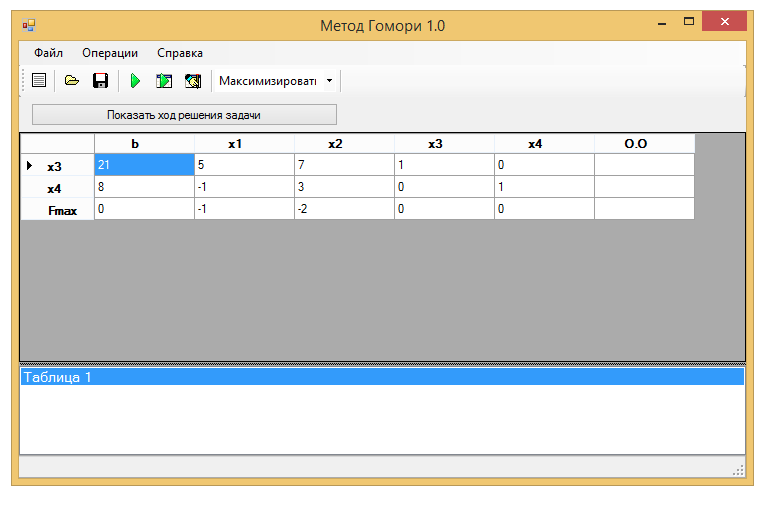 In step mode, each converted table is displayed on the screen. This mode is useful for viewing intermediate results of solving the problem. Allow the column and row, in this mode, the program also selects itself. A new constraint is also automatically added if the optimal plan is not an integer. 6) A few examples of calculation in the program. there are two versions of the source in the archive. The first - is more complicated with more complex interface. The second program "simplex_gomory_lite" - this is the lite version first. There is only a function of the conversion table. the minimum code. This version is suitable for students who need a simple solution to the problem, and nothing more.